As your sign lord the mars is in expense place by the start of this year, benefits will decrease. As the Mars is good from March month onwards, you will get profit through house, property and vehicle. You will get benefits through your brothers / sisters. As the planets like the Venus, the Mercury are in good places, you will get benefits. You will get benefits through your children. As the Raghu is in 9th place and the Kethu is in 3rd place, you will need to travel for your job. You will get benefits through strangers. Business will be normal. As you are in the last part of 7 ½ Saturn, act with care. Attention and care are needed. This 2018 year will be beneficial than the last year. As the Jupiter is in 12th place, you will get less benefit. Your expense will be equal to your income. You will have good expenses like marriage and other auspicious functions. Respect your higher officials. Put yourself in devotion to get benefits. 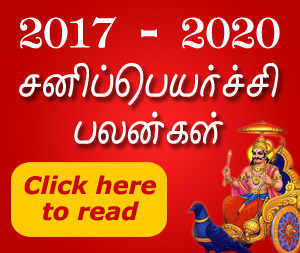 As the Jupiter enters your zodiac on 11/10/2018, expense will decrease and you will get some benefits. The Jupiter will not give you more troubles and problems. Also the Jupiter will not give you more benefits. Unemployed will get employment. Do worship the Jupiter for better benefits. This year of transit of the Jupiter will give benefit, so no need to worry. In general this 2018 year will be normal in the starting and the second half of the year will be beneficial. Worship Dhakshinamoorthy to get benefits. Worship Goddess in Sivan temple on Mondays to get expected benefits.